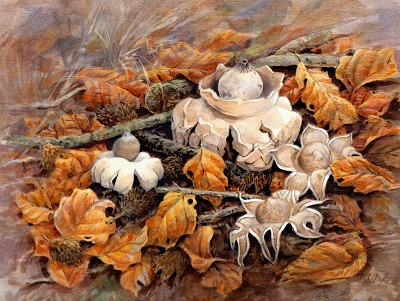 Christine has always been interested in drawing and painting natural subjects. After gaining a botany degree, she worked as an illustrator at the Royal Botanic Gardens, Kew, for many years. She has illustrated several books including the Royal Horticultural Society’s Dictionary of Gardening, the Alpine Garden Society’s Encyclopaedia of Alpines and Beth Chatto’s Plant Portraits. She now very much enjoys teaching Botanical Illustration and painting in her Norfolk garden. Christine has been awarded a gold medal by the Royal Horticultural Society for an exhibit of botanical drawings.